1101 Berwind Road is located down a beautiful and leafy, private lane, surrounded and protected by magical 1920’s era estates, including the original Berwind Mansion, with their understated elegance, total privacy and peaceful access. Just blocks from all Wynnewood restaurants and shopping, only a few miles from center city Philadelphia, one can get to Whole Foods, Giant and Trader Joe’s, Wynnewood’s Main Line SEPTA and all of Suburban Square in just minutes. Lower Merion Schools. 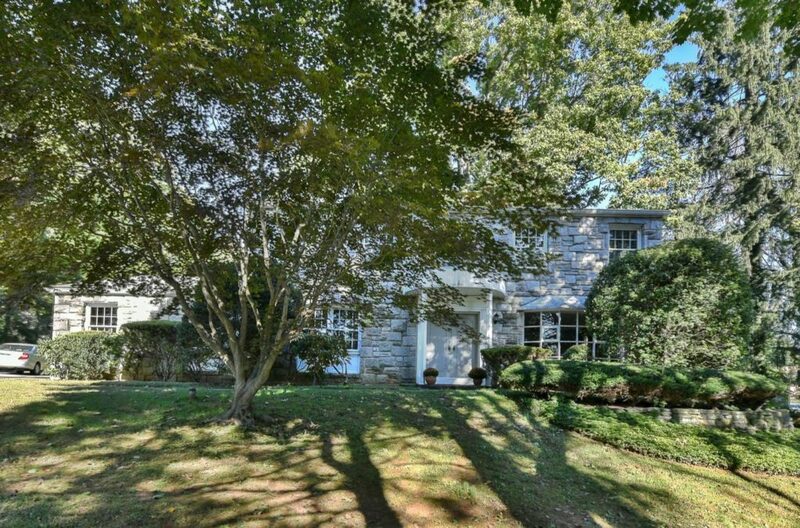 This four bedroom house offers over 3,200 square feet of living space, with stone pillared private driveway, two car attached garage, newer HVAC, family room with stone FP open to the eat-in kitchen. 1st floor laundry/mudroom, center entrance hall, partially finished lower level and beautiful private lot. Spacious master bedroom suite with H/H WI closets and en suite full bath and vanity. Three large, sunny family bedrooms share large, full hall bathroom. Family room opens with oversize glass sliders to private flagg patio. Partially finished lower level adds another 600+ sq feet.